QOTD: Why would a Midwesterner stand in line for 20 minutes for corn? My Question of the Day: Why would a Midwesterner stand in line for 20 minutes for corn? 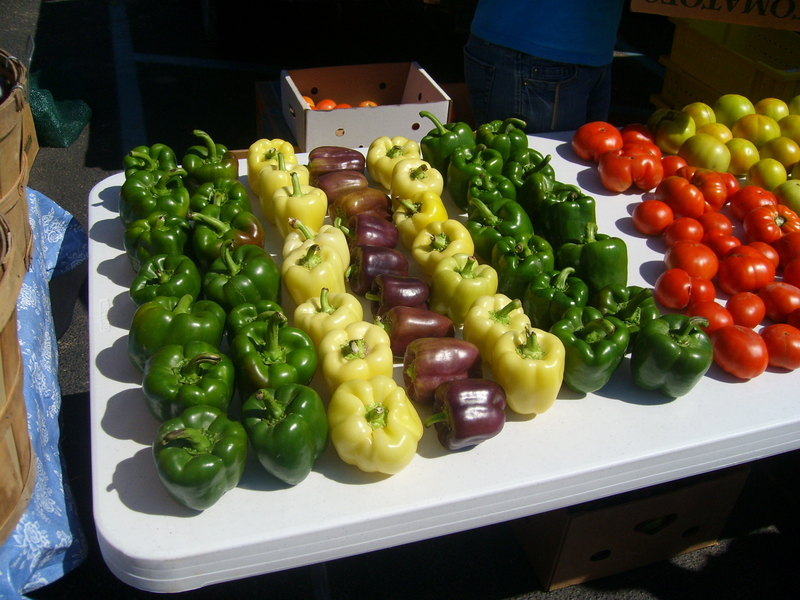 Today I got my first look at the Bloomington, Indiana farmer’s market. 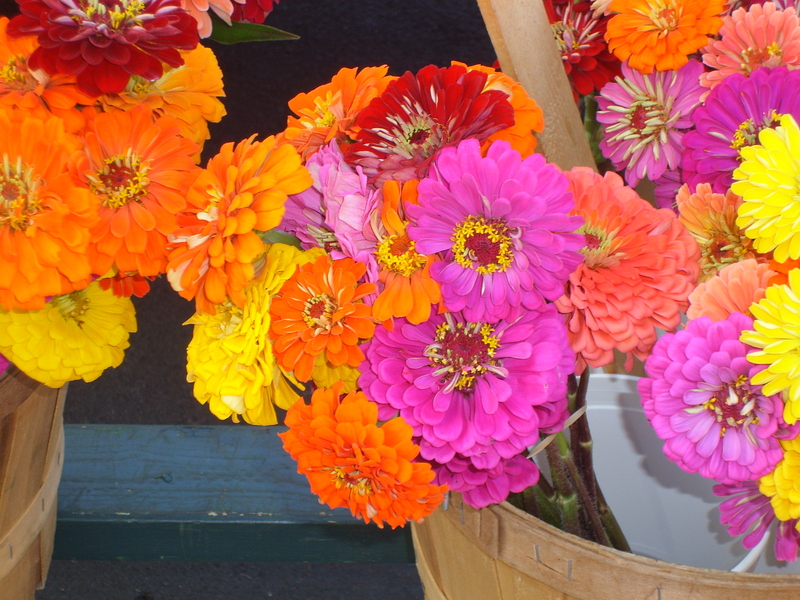 A charming collection of farm stands with ample heirloom tomatoes, peppers, zucchini and more, the Saturday Market offers a great opportunity to buy some (surprisingly affordable) locally grown produce, as well as unusually pretty flowers and delicious crusty bread. I was almost immediately faced with a serious oddity though, namely an absurdly long line (see photo) in front of a single stall. The line was in fact much longer than fitted on one photo. When I asked what it was for, a lady kindly informed that it was for corn. “What?! ?” I responded. “Corn!” “Are you seriously telling me that a bunch of Midwesterners, in the middle of the Cornbasket of America, would stand in line for twenty minutes for CORN?? ?” She assured me it was true. I did not bother to stand in line to try out the corn. After all, corn is corn, and it’s more common here than anywhere else in the world. I refuse to believe corn could be worth standing in line for, for twenty minutes, in Indiana. 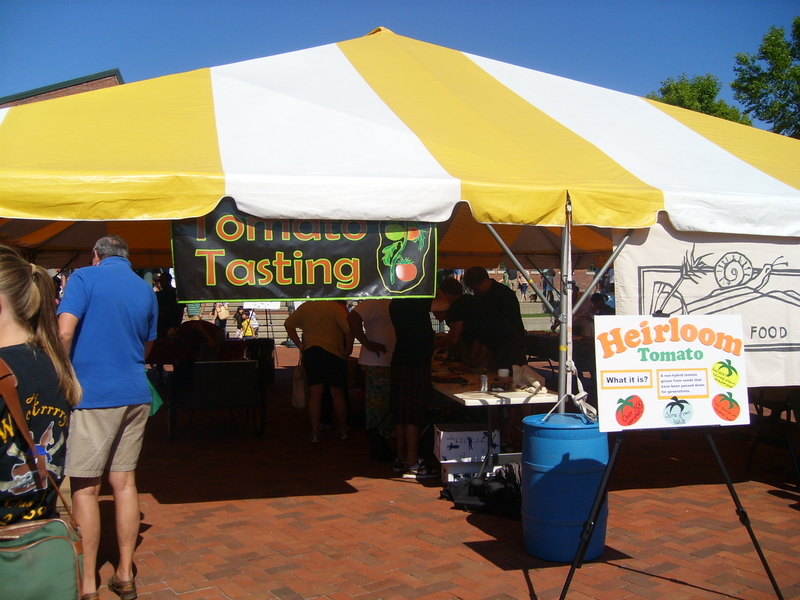 I was fortunate enough to catch the market on a “Tomato Tasting” day where an array of local heirloom tomatoes was displayed for market-goers to try. Excited as I am about any heirloom tomato, I quickly joined the line for samples. The first tomato was okay, a bit sour for my liking, but not too bad. As I continued along the line though, my disappointment grew. 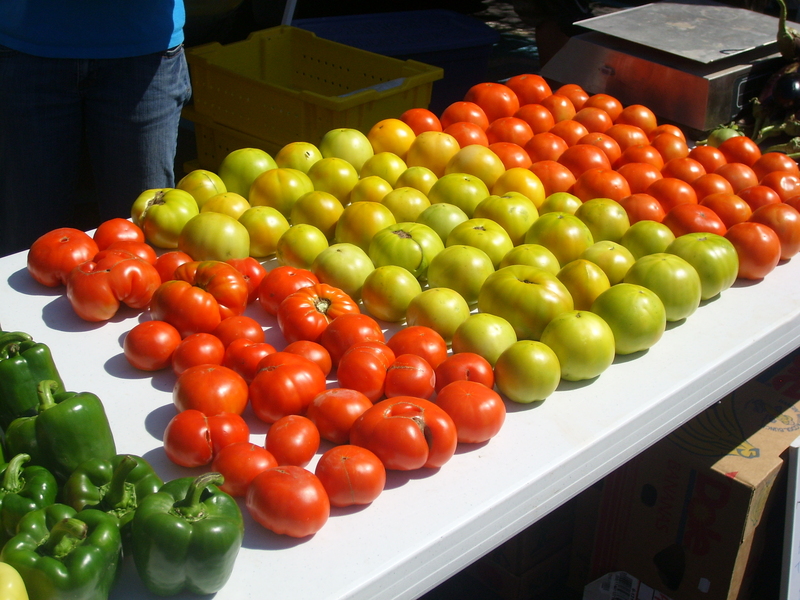 Virtually every tomato was watery and bland. They didn’t even approach the blandest heirloom tomato you’d find at our Eugene, Oregon farmer’s market. In fact, the (local) heirloom tomatoes I’d bought at Kroger’s the day before were much sweeter and boldly flavored than any of these. 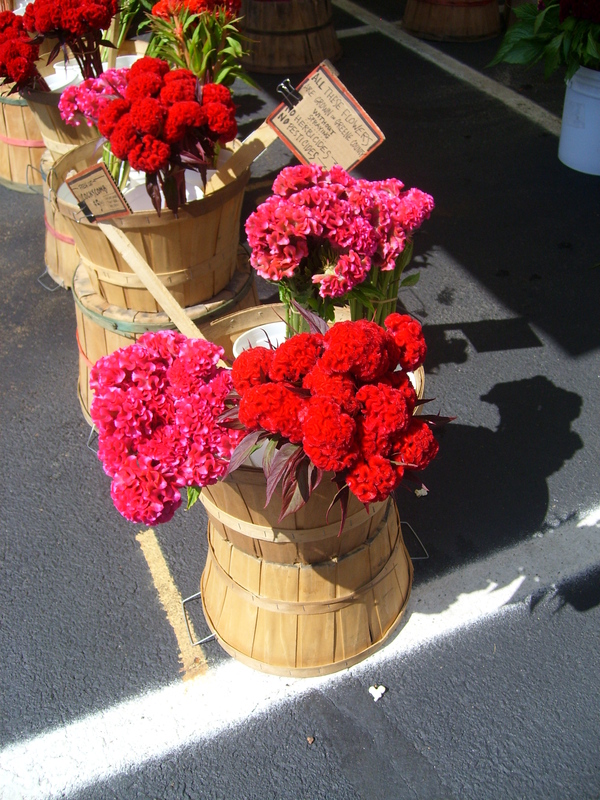 The only exception perhaps was the Japanese Black Trifle variety from Stout’s Melody Acres. I still bought a pound and a half of various heirloom tomatoes at one stand, in the hope that those will be better. To my great surprise, there were virtually no food stands. Some plain coffee (to which you can add a little syrup) and a bakery with rather expensive muffins ($5), cookies and other foods, that’s all! Someone could make a killing selling food here. The Eugene Frmer’s Market must have at least 20 prepared food stands… asian foods, mexican, BBQ, pastry goods, lemonade, and so on…) I must say though, my home made ice cream cookie sandwich from the bakery stand was absolutely fabulous, and I intend to buy another one, even at $4 or so a piece. We recently moved my grandmother into assisted living. Never an easy move, but her new two bedroom apartment is almost as large as the old house where she had lived since she got married in her 20’s. She has high ceilings, windows in three directions, and lots of light. She’s also made some new friends and really seems to be doing well. However, the old house is still full of junk so my mother flew in from The Netherlands to help us sort through old boxes, photographs, and so on. Together we went through endless dusty basement boxes with doll clothes, photo albums, ancient sleeping bags, and seemingly endless rows of empty canning jars. Each type I pulled an old cardboard box or plastic bag out of a dark corner under the stairs, I was afraid I might open it up to discover dead animals, raccoons, or pet cats that disappeared before I was even born. Fortunately we suffered nothing but some hilarious discoveries of old 1950’s/60’s cookbooks, food with expiration dates going back as far as 1988 (!! ), and most notably: A box of “Sparkles”. Apparently my grandparents used to arrange dances for friends in their basement (my mom says she and her sister were never allowed to attend), so they would spread these shimmering flaky ‘sparkles’ across the floors to make them smooth. I’ll try to get a picture of them if they’re still there next weekend. At least the sparkles are prove they were indeed dances that they were keeping my mom and aunt out of, and not some secret Lutheran cult celebrations of self-denial. 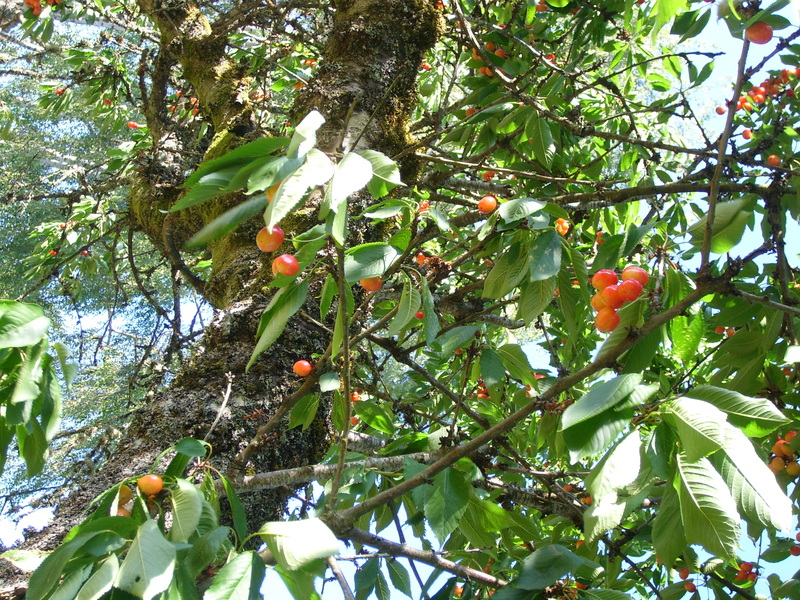 Just as we were about to get back in our car, my mom mentioned that the cherries were ripe. Never one to pass up cherries, I rushed out to the back to find the tree completely covered in perfect, luscious sweet cherries of the Royal Anne variety. 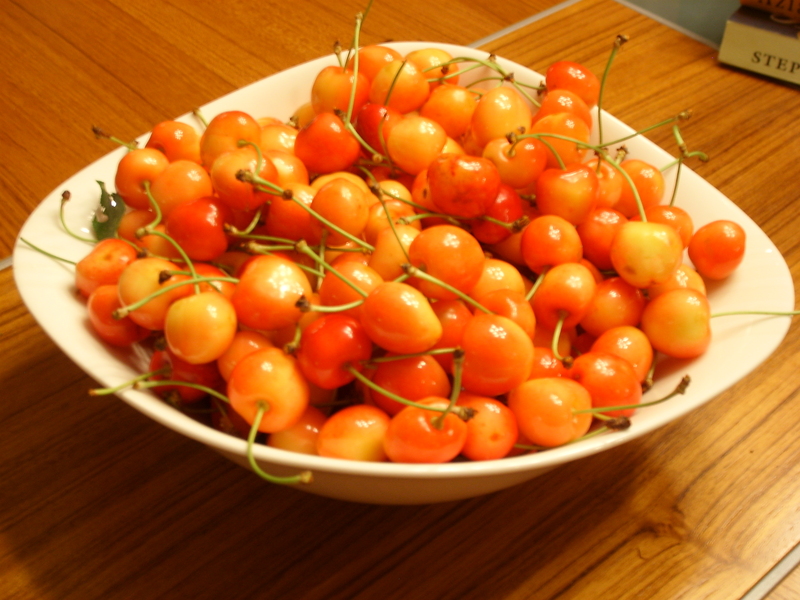 Nearly every single cherry was ripe and untouched by insects. 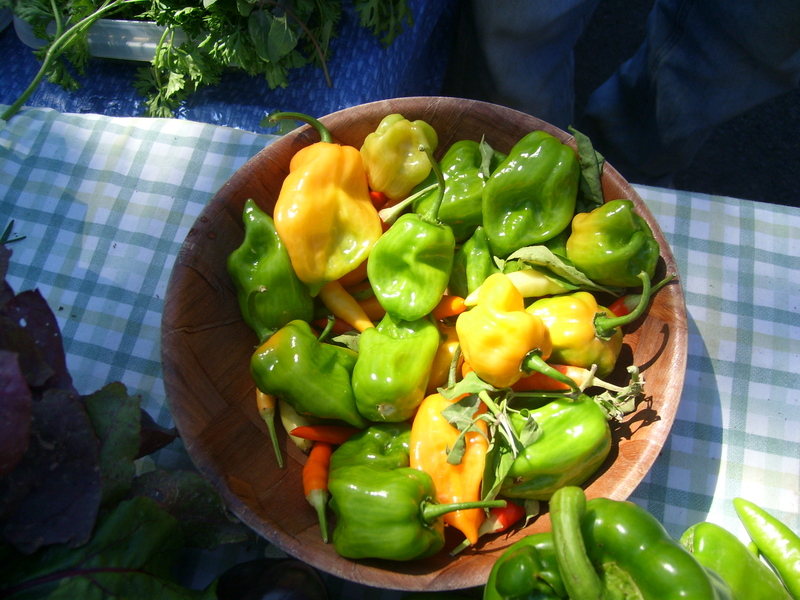 We picked everything we could get our hands on, and filled our mouths and bowls. 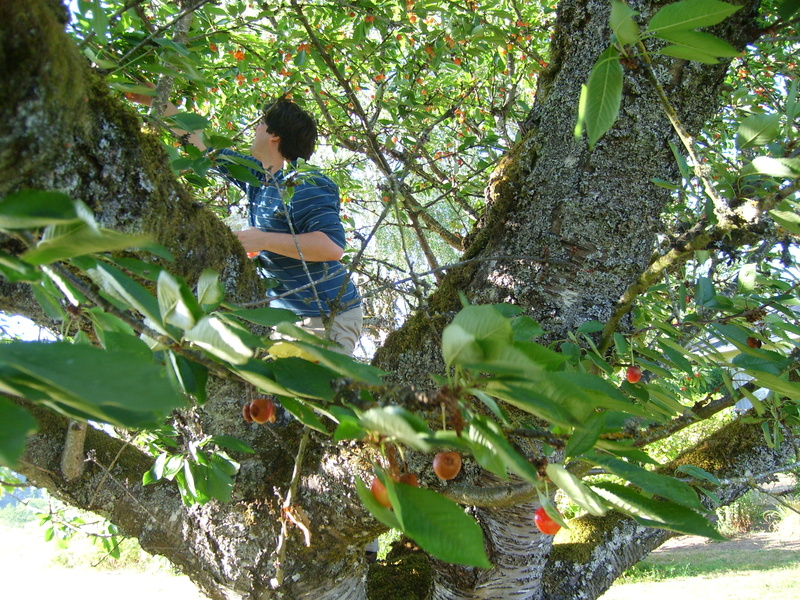 My husband even climbed into the tree to get more. Finally, after filling some bowls and eating plenty more, we decided it was time to head home. 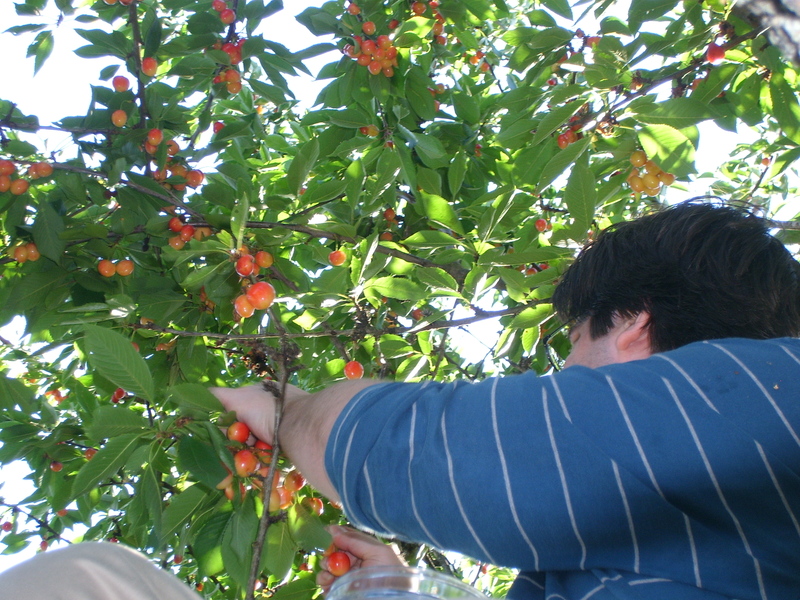 We’re going up there again next weekend, and I can only hope that the cherries will still be good. And if we’re really lucky, the numerous figs on my grandma’s tree will also be ready for picking. They may need a little more time.